It is possible that the Palaeolithic people, who produced the rock art in Cresswell Crags wandered over the Mellor hills, although if they did they left no trace. 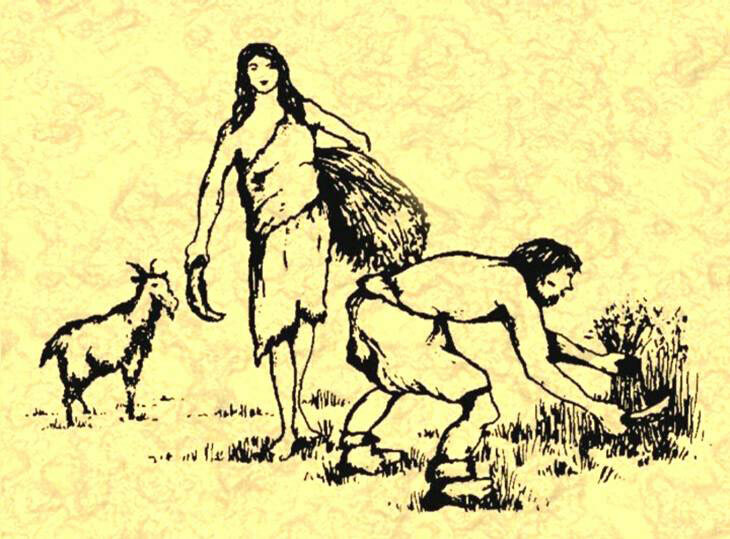 Certainly their Mesolithic successors, who are known to have been active in the Trent Valley and the Cheshire Plain, came to Mellor in their summer wanderings in search of game or red deer to hunt, as they left evidence in the ground of their visit. Their visit may only have been brief as they used the site as a temporary camp, the hills providing good resting places above the valley swamps as they moved around the landscape according to the season and the availability of food. 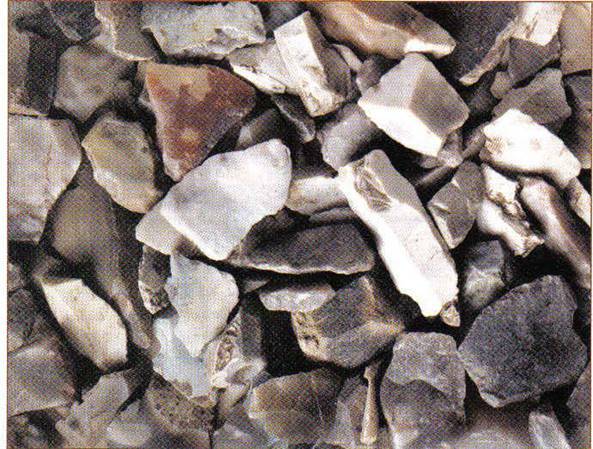 What they left behind are hundreds of flints dating from the early to late Mesolithic. A mixture of tools such as scrapers, flakes and cores. Some complete and useful items, others just scraps. 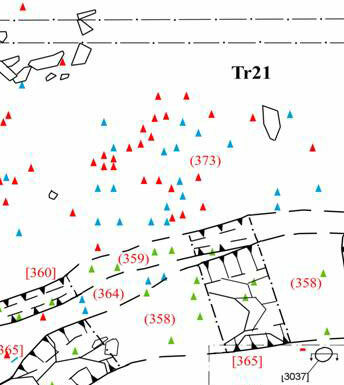 The distribution map on the left suggests that the flint knapper sat in the centre of the Old Vicarage garden making flint tools. The scrap flakes fell to the ground and scattered around him for us to find thousands of years later. Many were found in Trench 3 in 1999 and in nearby Trench T31 in 2003. 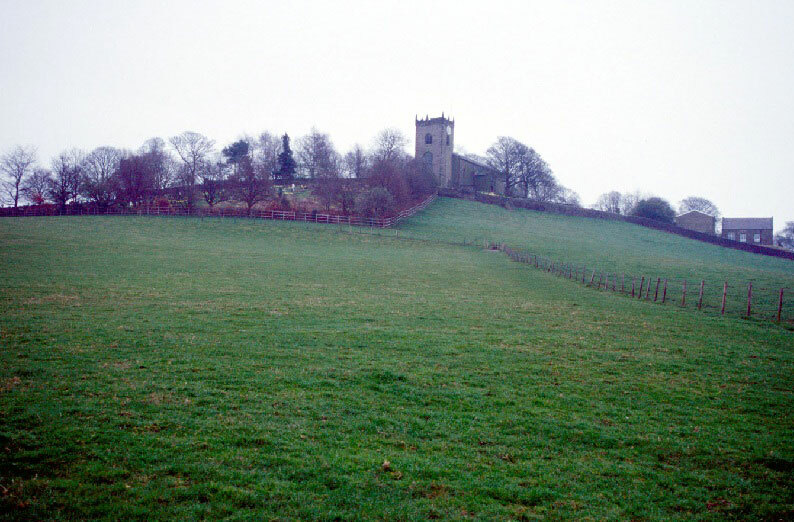 The Mellor hilltop and the nearby site of Shaw Cairn are typical of other sites known to have been used by these nomadic hunter gatherers, being positioned on spurs of ground overlooking the valleys below. 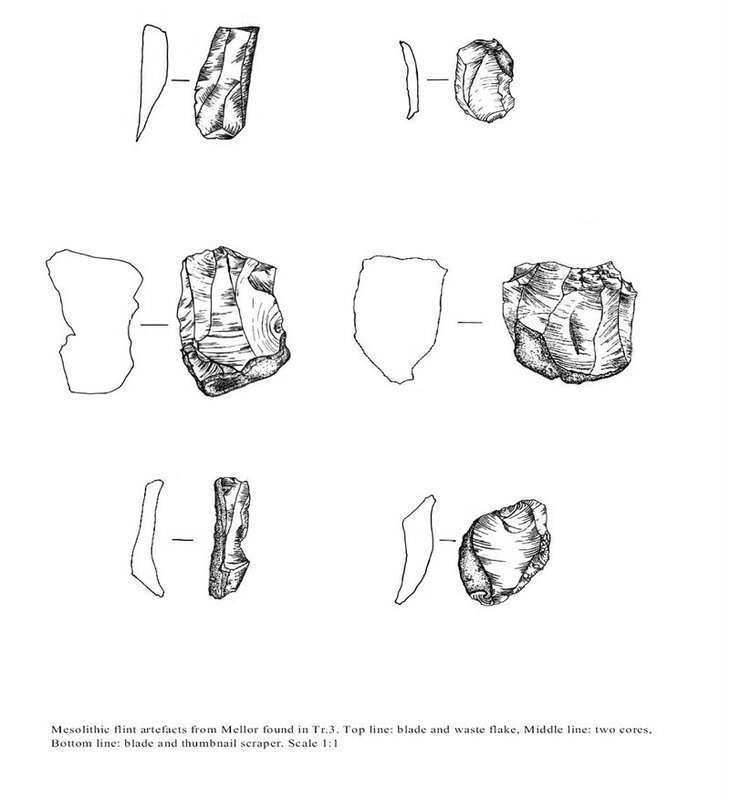 The artefacts from Shaw Cairn are older than the ones at Mellor, dating from the Earlier Mesolithic and suggesting that the high ground overlooking the River Goyt Valley must have been a long favoured spot. 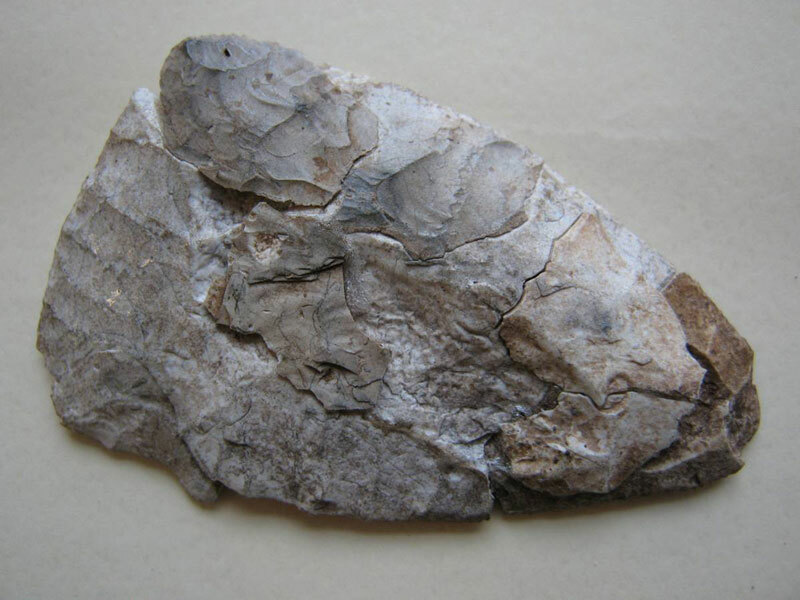 The particular type of stone tool favoured during the Mesolithic Period was a composite of microliths, very small fragments of flaked stone flakes struck from a central core then assembled together to make tools and weapons. A assemblage of almost 200 Flint artefacts from this period were uncovered from a small area within Trenches 3 and 21 close to the highest part of the hilltop, which seems to have been a focus of activity. 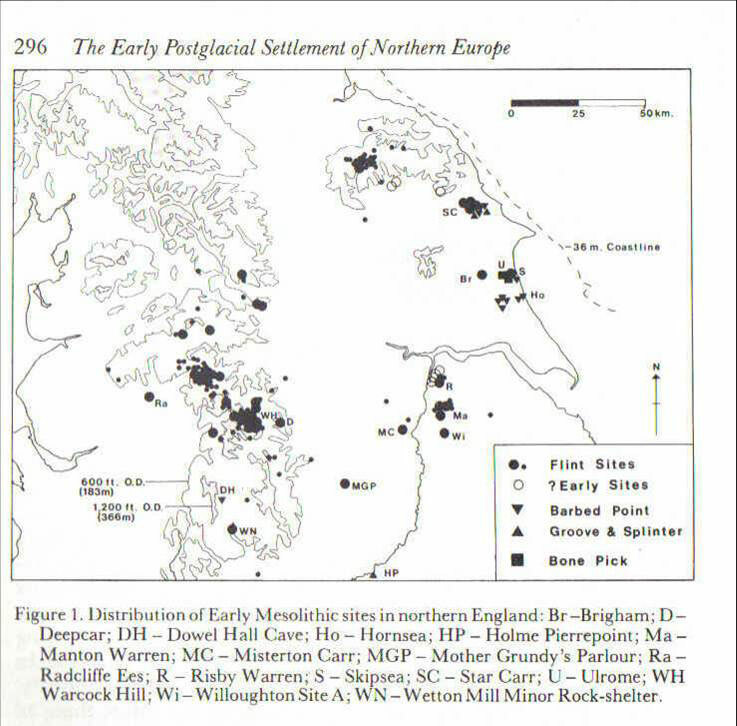 Although Mesolithic artefacts are relatively common in the region, evidence of campsites and structural remains are very much rarer. 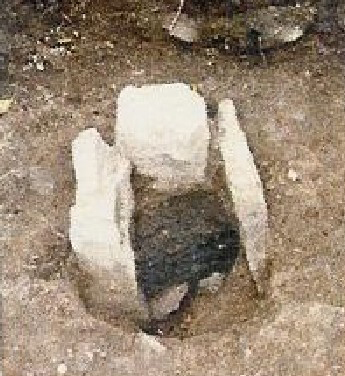 The 2000 season of excavation, however, revealed a stone lined slot in Trench 3. This contained no later material within the feature and seemed very similar to one found at Deepcar in Yorkshire (Radley and Mellars 1964), where it was suggested as the base of a temporary structure, made with a light timber frame and draped with skins held down in the slot with rocks. 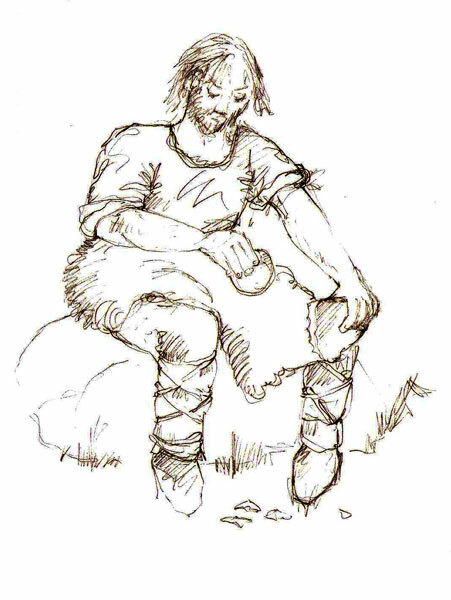 Furthermore, postholes were found cut into the bedrock outside the prehistoric ditch. Unfortunately no dating evidence was found for these postholes but it seems possible that they pre-date the ditch itself. 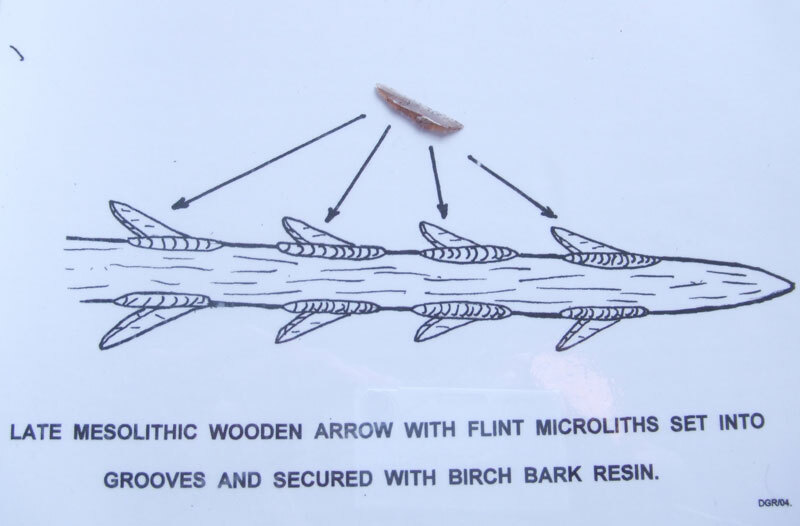 Remarkable as this seems, it is considered possible that these may have been constructed as early as the Mesolithic Period.